Whether the drama in your family resembles Kennedys and Rockefellers or Hatfields and McCoys, you should have a sensational stage for your reunion with supernatural light, breathtaking scenery and a legendary atmosphere that draws artists, actors and free spirits. Let’s open the curtain on Taos, New Mexico, Bed & Breakfast (B&B) Capital of the Southwest. Taos’ deep history is the first scene. Prehistoric ruins from 900 AD are seen throughout the Valley, as well as the Taos Pueblo, one of the oldest continually inhabited communities in the US Spanish Conquistadors, French traders, military, missionary and mountain men all left an indelible impression on Taos’ character. While gold drew pioneers in the 19th century, the famous Taos light attracted artists throughout the 20th century and into the new millennium. Taos has more artists and galleries per capita than Paris and nearly 30 B&Bs that reflect this melange of the historic, picturesque, spiritual, funky, adventurous, artistic and just plain fun that make a perfect backdrop for your special reunion. Inns range from restored territorial haciendas and National Historic Register landmarks to refashioned motels and new age “earth stations.” Do you want to be near the historic Plaza and its galleries or on a windswept mesa with commanding views of the Taos Mountain? Lodging selections are simple when you saunter over to www.taos-bandb-inns.com or call 800-939-2215 for expert advice, rates, locations and more. One of Todora’s best reunion memories was seeing her 75-year-old father skiing for the first time in 20 years. “He has severe arthritis in his knees and hips, but he is such a determined man and wanted so much to ski with his family. He would ‘never let a little arthritis stand in his way,’” she beamed. Kids who opted out of skiing were treated to ice-skating. “My little boy turned two while we were together, and we had a great time eating German chocolate cake (which is what I always had for my birthdays when I was growing up) and opening gifts together,” Todora said. “Every morning we had the most delicious Stewart House breakfast, and most nights we just made chili or lasagna,” Todora explained. “I would highly recommend Taos for family get-togethers, and the Stewart House is great for families with young kids. John and Sandy are the most wonderful hosts.” Call 888-505-2557. The Laughing Horse is a wonderful curiosity with nary a straight line in sight. “It’s kind of a quirky, hobbit-house place that kids love with lots of meandering hallways to explore, kiva ladder to climb to a loft bed and then sprawl on their backs and watch videos on a TV mounted in the ceiling a few inches over their faces,” Bodenhammer declared. The two guesthouses across the street have many fireplaces, a huge redwood deck and a large yard with trees and lawns. Newlyweds can choose the Red Hot Chile Pepper Room and families with kids can spread out in the Penthouse, a solar A-frame atop the 1887 adobe nestled in the treetops. Chuckle as you surf over to www.laughinghorseinn.com or call 800-776-0161. Whether it’s a multi-generational family reunion or a meeting of Vietnam vets, the San Geronimo Lodge beckons with 18 rooms, large common rooms, a dance floor and a chile pepper-shaped pool on a couple of acres of New Mexican heaven. Innkeeper Pat Hoffman said the Lodge is large enough for groups to feel comfortable, yet it provides interesting nooks and crannies and the warmth of a B&B. The Vietnam veterans reunion displayed memorabilia in the great room where they ate. The Lodge provides lights, sound equipment and in- or out-of-house catering for groups up to 100 people inside and over 300 outside. Call 800-894-4119; www.newmex.com/sgl. They say the views from the Hacienda del Sol Bed and Breakfast are the best in New Mexico. And whoever they are – they’re not exaggerating. Kodak moments are guaranteed amid stately cottonwoods, golden willows and hundreds of flowers that fill the grounds. Spectacular views of Taos Mountain are just behind the three adobe buildings, one dating back to 1804. The original adobe was owned by legendary art patroness Mabel Dodge Luhan, who with her husband, Tony, hosted famous literati over the years. Even though USA Today called the Hacienda del Sol “One of the 10 Most Romantic Inns in the US,” it also makes a mighty fine choice for a multi-generational reunion. Charles and Mary Kennedy of Houston, Texas, fell so in love with the Hacienda del Sol that they chose the historic inn to host the first official Kennedy reunion in May 1999. The group of 20, ranging from 5 to 72 years old, took over most of the inn for a long weekend. “Charles and I visited six or seven times and said what a great place to have a family reunion. The rooms are beautiful and there are a number of suites,” explained Mary. “When you go to breakfast it’s like the movie The Big Chill, everyone is laughing and singing and talking and getting to know each other.” Storytelling was an important aspect of the gathering. “I’m 67,” Charles said, “and I realized you have to pull families together before some of us are no longer around. We told stories of growing up, some good and some you wouldn’t tell anyone but family. Many people didn’t know each other and it was great to see cousins meeting cousins.” The group decided to meet for breakfast every day, a good idea because Elton Moy, manager and resident chef, is well known for his hearty, home-cooked breakfasts. Afternoons were free to browse unusual shops and galleries in town or hit museums. Around 4:30 PM Moy brings out his freshly baked cookies, tea and other goodies. Family members sat on the patio, getting to know each other, swapping more stories. “What’s important about a reunion,” said Mary, “is feeling comfortable in an intimate, casual place like home. Hiltons and Holiday Inns don’t have the same feeling. Innkeeper Dennis Sheehan and Elton are very sweet and really talk to you and want to know who you are.” The Kennedy’s reunion was so successful, they plan to have one every two years. Moy prepared two dinners for the Bollingers in addition to the daily breakfast. “In the late afternoon we gathered to rehash what we did that day and Elton provided wonderful hors d’oeuvres,” Bollinger recalled. Prior to the trip, the Bollinger children videotaped their father answering questions about his first date and kiss with their mother, her favorite colors and foods. During the celebration, the children asked their mother the same questions and after announcing her answers, Henry’s videotaped recollections rolled. “Surprisingly most were ‘right on’– so the children decided we should stay together,” Bollinger laughed. “We’re still reminiscing about the anniversary – it was a very enjoyable experience.” Call 505-758-0287; www.taoshaciendadelsol.com. Prepare for gushing if you ask anyone who has stayed at AAA Four Diamond rated Casa de las Chimeneas (House of Chimneys) about their experience. Just take a peek at rooms at www.visittaos.com and feel your jaw slacken. Who will take the Blue Room with its four poster queen bed with blue chiffon draping laced with flowers in the canopy and the hand-embroidered rugs? Perhaps the Library Suite is more your style: the sitting room is an old library with a beautiful beamed ceiling and motorized, operable skylight. There’s a large kiva-style fireplace, queen-size sofa-sleeper, TV in a built-in cabinet and tile bar. Many of the inn’s lovely rooms are family friendly. The rate includes a complete two-course breakfast and complimentary evening supper buffet with non-alcoholic beverages. Use the outdoor hot tub or fitness facility room with cardiovascular equipment, stationary weight machine and sauna. Excellent therapists staff a massage room with spa treatments and massages an additional charge. Casa de las Chimeneas welcomes children with high chairs and cribs in the eight-room inn. Don’t be shy – tell innkeeper Susan Vernon your childrens’ dietary preferences and she’s certain to have their favorite cereal on hand as well as hot dogs and chicken tenders along side Chicken Marbella or Spinach Crepe Torte. Susan is the kind of overachiever reunion organizers will fall in love with. “Susan never has an off day when it comes to food,” laughed Donna Mann, of North Carolina, who enjoyed a 14-member “blended” family reunion at Casa de las Chimeneas last winter. “Susan has such an eye for detail, the service is exceptional and if you’re a gourmand, her cooking is really an experience.” The Mann family rented the entire inn for six days and was treated to a special six-course New Year’s Eve dinner. “The common room is fabulous for families and everyone liked to hang out there. The little ones would sing and entertain us.” Some skied, others strolled through art galleries and took a drive to the Rio Grande Gorge. Casa de las Chimeneas, two blocks from Taos Plaza, is near historic sites, shops, restaurants and many galleries. Call 877-758-4777; www.VisitTaos.com for the full story on one sweet B&B. Native Sons Adventures offers summer whitewater rafting, mountain bike tours, day hikes and snowmobile tours. Owner Joseph Quintana tailors tours to your group’s ability and throws in a heap of history, too! 800-753-7559. Mabel Dodge Luhan House is a National Historic Landmark that hosted everyone from Willa Cather to Bob Dylan. If you look carefully out of one of the upstairs windows, you can see a white cross left behind by Georgia O’Keefe; 505-751-9686. Taos Pueblo is closed to visitors at certain times of year for ceremonial and religious reasons. Call first; 505-758-1028. Taos Mountain Casino is intimate and smoke-free; 888-WIN-TAOS. Millicent Rogers Museum of Northern New Mexico is a treasure trove of Native American and Hispanic arts and crafts and silver and turquoise jewelry; 505-758-2462. Kit Carson Home & Museum details the life of the famous mountain man through artifacts and exhibits; 505-758-0505. El Paseo Llama Expeditions offer a fun, unusual and invigorating experience for all ages in the cool Taos mountains; 800-455-2627. Taos Ski Valley has more snow than Aspen and more sun than Sun Valley. 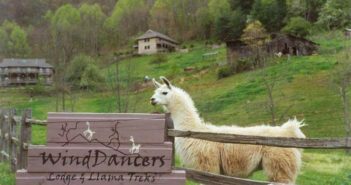 In summer, indulge in guided nature hikes, chamber music, village barn dances, lakeside picnics, fly fishing and try a chairlift ride for spectacular views; 800-776-1111. Taos County Chamber of Commerce and Visitor Center can help with all your planning; 800-732-TAOS.